KTM make a HUGE range of bikes, covering all the genres any rider or shop could need. Most of the bikes come in a selection of frame sizes, colours and wheel sizes which are all fairly self explanatory. However, with the City and eBIkes the models can often come in 3 or even 4 frame styles in some cases. 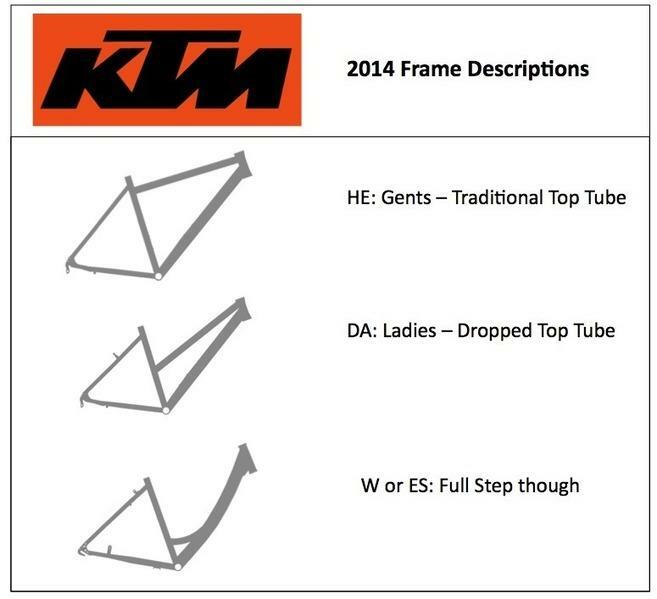 We produced this graphic in 2014, but its still valid today, so we thought it was worth sharing again, to help dealers and customers understand the different terms used by KTM in their brochures.